Pride Mobility is the leading manufacturer of personal mobility products. America's #1 Power Chair. Enjoy superior performance and function. Live your best with our durable, easy-to-use, and versatile scooters. Go-Go anywhere with our compact size and easy feather-touch disassembly. Offering innovative comfort and style to complement any home decor. 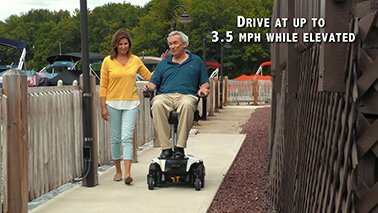 Take your mobility on the road with our easy to use and durable lifts. Watch how our most popular products can enhance your mobility. 4-wheel stability with 3-wheel maneuverability. See what people are saying about our products. 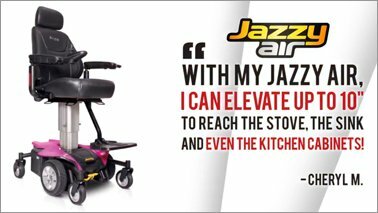 The future of mobility is here - Jazzy® Air empowers. Traveling has never been easier with the new optional airline-approved travel battery on the Jazzy® Passport! Quantum features complex rehab technology which is used by people who have a diagnosis such as: ALS, Spinal Cord Injury, Multiple Sclerosis, Muscular Dystrophy & Cerebral Palsy. 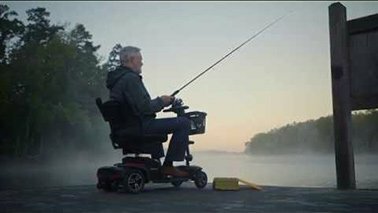 Discover Pride Mobility Products Corp. and learn about the company’s legacy of consumer-inspired innovation in developing outstanding mobility products. Pride Mobility Products® Corporation is the world's leading designer and manufacturer of mobility products. Pride Profiles in Motion features real Pride product users and their personal experience with their Pride power chair, travel mobility, scooter, power lift recliner and lift. 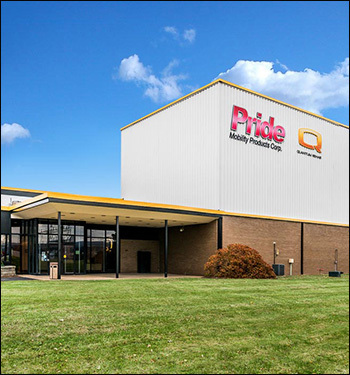 Learn more about how a Pride product has changed their life and allowed them to go places and do things they couldn't before. "My Jazzy Air gives me confidence to keep up with my active lifestyle." "With my Maxima scooter, I can go to a store like Lowe’s and spend an hour looking at everything. Trips to the grocery store became fun again." "My Pursuit scooter gives me freedom. Sometimes, I just ride around and enjoy the beauty of the sky and earth."